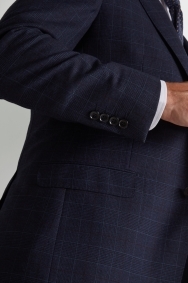 Distinguish yourself with this smart suit. 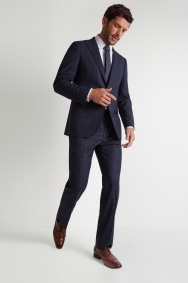 Whether your day is taking you to the boardroom or a big event in your social calendar, this suit will make sure you look stylish and smart from morning to night. 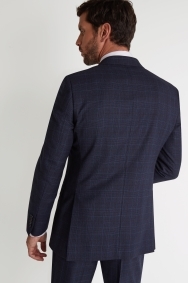 The Prince of Wales check is given a contemporary update in indigo and burgundy, and the deep plum lining adds extra interest when you take off the jacket. It’s cut in a generous regular fit, creating a classic outline and keeping you comfortable. 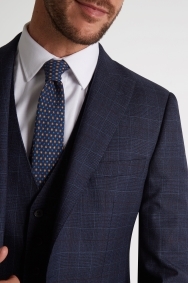 As such a smart suit, you can get away with pairing with just a blue shirt worn open necked. 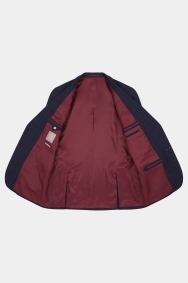 Dress it up with a pocket square – simple and effective. Very happy with the style. It wasn't what I would have picked at the start but very happy with it. Great suit, perfect fit. Really pleased. Buena relación precio calidad. A la moda.